Spiritual life transforms our hearts and replaces the negative forces of lust, envy and greed in our heart with the positive forces of love and service. Radhanath Swami gives an example to explain the point. A caterpillar may not be beautiful but when it transforms into a butterfly, it becomes one of the most attractive insects. Similarly our heart has much negativity but these forces can be transformed to a beautiful butterfly…. Richard (Now Radhanath Swami) realized that mystic powers are not spiritual; they can also be a distraction from the goal of God consciousness. It is not simply about having a healthy body or living many years. Yoga is about controlling the mind and the senses” says Radhanath Swami and this requires us to be focused against all obstacles, distractions and temptations. Radhanath Swami Fan Blog – Are austerities needed in spiritual life? I once asked Radhanath Swami if we are disqualified from spiritual life if we cannot practice strict austerities. 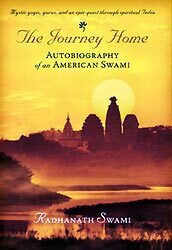 Radhanath Swami gave me lot of hope by saying that spiritual life is not about austerities or denial but rather it is a life of acceptance- acceptance of God’s grace. Radhanath Swami specifically urges that while performing austerities if we remember God, the remembrance of God will fill our heart with a certain kind of spiritual happiness that cannot be equaled by anything material. Radhanath Swami writes his wonderful realization that the creation of God is nothing but one amazing miracle after another, and God had empowered every species with amazing talents. As a practicing spiritualist it is an uplifting experience to see God’s creation and marvel at the preciseness and beauty of it all. There are many simple and graphic examples of the artistry of the Lord’s creation. Radhanath Swami speaks in many of his classes that we can see and appreciate God’s wonderful creation at both the atomic and molecular level. It’s important that we have reverence for all of God’s creation and live in harmony with nature. Radhanath Swami says that civilized human life means a life of gratitude and and we can express our gratitude to Mother Nature by respecting all life… Radhanath Swami explains the root cause of the abuse of nature is the selfish pursuits of man. “It’s the pollution of the heart that has to be cleaned first before we clean up the pollution of the environment” says Radhanath Swami. I wonder why God gives us tests and sufferings in this world; why can’t he make it easy for us and carry us back to His loving kingdom easily. Radhanath Swami says in spiritual life sufferings are important because they purify us of the material contaminations of the heart and they provide us with the strength to progress towards God. If we do not go through suffering at all, we would take spiritual life cheaply, says Radhanath Swami. One day Richard (now Radhanath Swami) saw an amazing display of yogic powers that left all, including doctors at DevPrayag, stunned in disbelief. Radhanath Swami has often explained that these supernatural powers are side benefits of yoga; they are not the goal of a yogi. Richard (now Radhanath Swami)’s most unforgettable experience at Dev Prayag was with Kailash Baba. An elderly ascetic, Kailash Baba showered Richard with fatherly affection and instructed him on how to survive as a wandering ascetic. 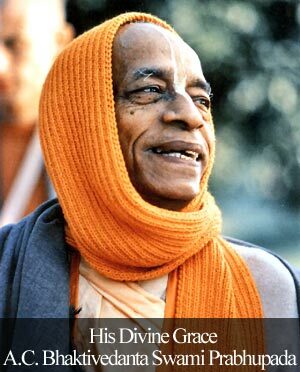 I haven’t met Kailash Baba but can vouch for the love and affection of Radhanath Swami. His affection attracts the love of our hearts. Radhanath Swami is convinced that we should hate the disease but not the diseased. Behind the veil of all negativities is a pure soul, part and parcel of God. Radhanath Swami also encourages us to take shelter of prayer when we see someone not confirming to the expected behavior. 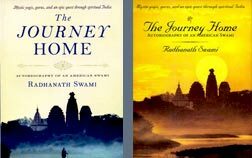 Radhanath Swami is emphatic about how our consciousness by nature is eternal, full of knowledge and full of joy. In a real joyful state based on truth, there can be no contamination.